-- Select a Size/Color -- Small Large - Out of Stock! 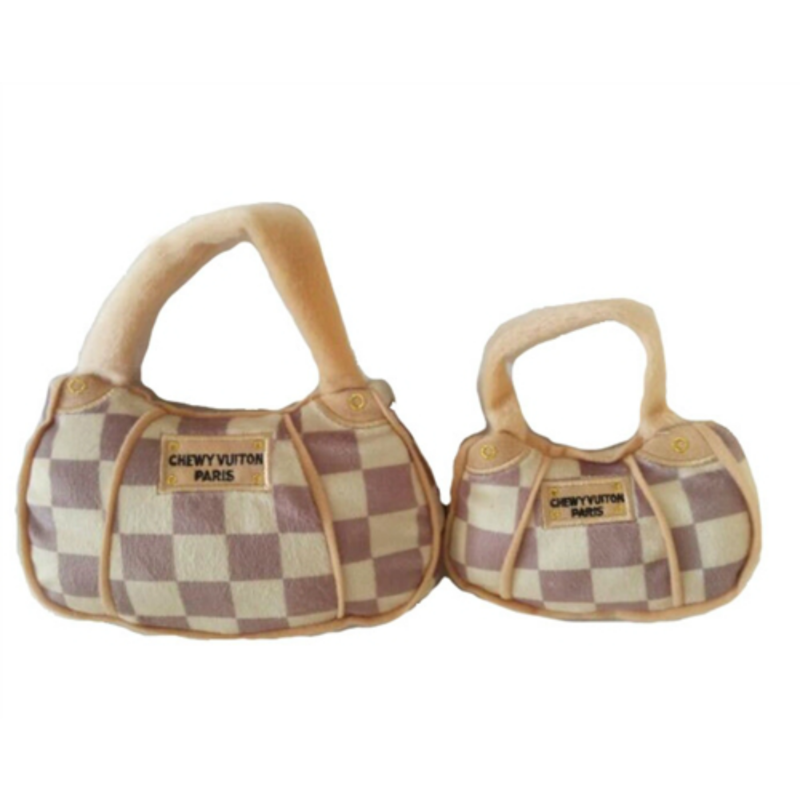 Upgrade your princess to the Checker Chewy Vuiton Handbag Plush Dog Toy. Let your dog enjoy the Checker Chewy Vuiton Handbag Plush Dog Toy. 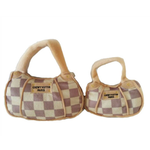 This classic hand bag toy has the fun dark brown a tan checkered pattern included with a squeaker. For a fun touch "Chewy Vuiton Paris" is sewn on the front.